I’ve set up an Etsy store: https://www.etsy.com/shop/hangdai! To make available my various custom- and hand-made art, prints, and self-published publications! 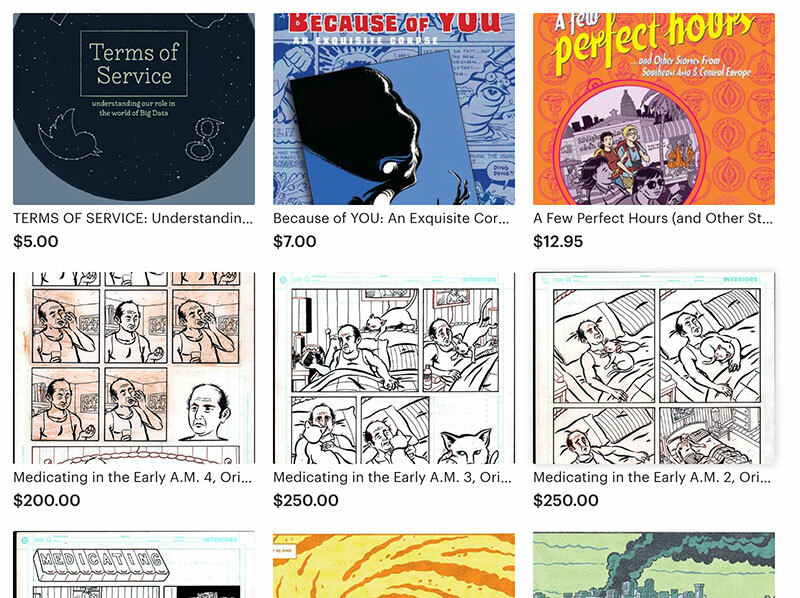 Items available include original art, A.D.-related gicleé prints, my autobio travel book A Few Perfect Hours, select issues of my solo comix series The Vagabonds, and one-offs like Terms of Service and my exquisite corpse collaboration with Dean Haspiel, Because of You! Most items on the store come personalized, often accompanied by an original sketch. So start shopping!